Not something i thought i would enjoy but i thought i should experiment and I was surprised. A subtle sweetness which is followed by a mist of heat moving from the throat to the front of the mouth. But what would you have this with? So, of course i asked the world according to Google. There are lots of ideas. I love the patronising : Try spreading them with unsalted butter. Not sure why unsalted – i dont think i have trouble spreading butter of any kind, salted or otherwise. I tried light tahini and was pleased with the result. I also tried some Longley Farm cream cheese (available from Zeds) and this was very easy to like, nor was it difficult to spread . 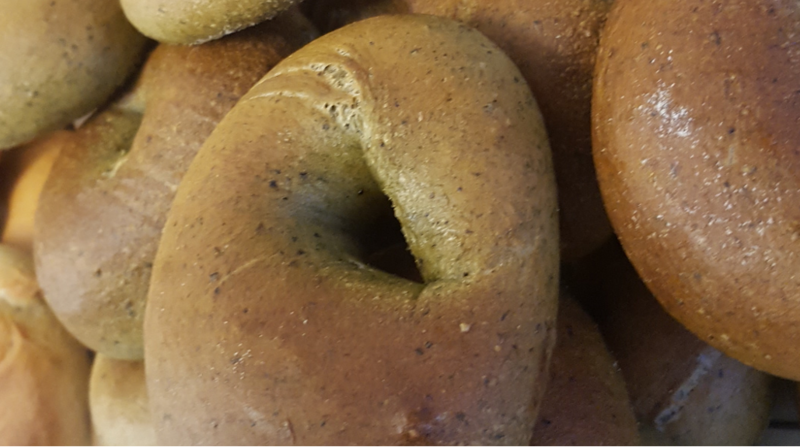 So, there it is the Aztec Fire Bagel one of a number of variations available from tower of bagel!